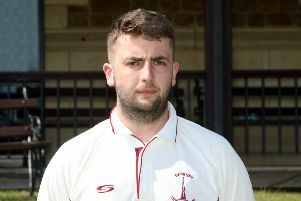 It was a game captain Harry Smith said Great & Little Tew needed to win but they came up short in Saturday’s Home Counties Premier Cricket League fixture at Burnham. Tew lost by seven runs in Saturday’s division one fixture at Burnham where the visitors failed to recover from a top order collapse. Smith elected to field, Fahad Raja 27 and Shabaaz Alam 32 put on 46 runs for the first wicket when Joe Thomas captured the first of his four wickets. Burnham lost wickets at regular intervals as they were reduced to 85-4. But Sajid Ali 20 and Karan Kumar 16 steadied the ship and took Burnham on to 121-6 before the final wicket fell in the 41st over as the hosts were dismissed for 150 runs. Thomas finished on 4-28 while Ian Bryan picked up an impressive 4-15. In reply, Tew were soon in trouble as they slumped to 16-5 as they failed to cope with Muhammad Haroon. For the second week running, Andy Harris 22 and Jancan Adams dug in and put on 87 for the seventh wicket. Adams was dismissed for 73 runs, which included four fours and two sixes, by Haroon who then captured the final wicket of Liam Manley as Tew were shot out in the 42nd over. Haroon finished with an outstanding 7-29 while Adnan Malik took 2-24.